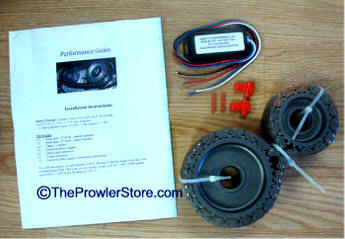 BGF-PMC-S-PR-ENG PCM / ECM Engine Performance Upgrade - Let your Prowler Loose! Take the Gloves Off! Your Prowler came from the factory with a lot more performance than your Engine Controller Module (also know as a PCM) is programmed to let you have...... Why? Because of emissions standards, gas mileage, etc. Programming performed by the nation's leading experts in this "PMC" Programming with over 18 years experience. You will remove your Prowler PCM. 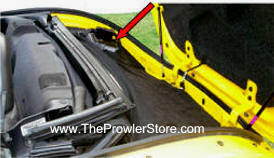 It is easy to do, simply unbolt and unplug from behind the passenger side fender (see photo). Be sure to include your name, address, phone number, with a note telling us you want an upgrade tune. Note: PCM Modifications are for OFF-ROAD or Racing use only, and sold "as is" unless otherwise noted with no implied warranty! Additionally PCM upgrades may affect the emissions characteristics of the vehicle. If you install PCM Upgrade and your vehicle consequently fails state or local I/M emissions test, including any test required to maintain or renew your vehicles registration, or if your vehicle is subject to a emissions recall, Hot Car Accessories Inc. is not required to repair your vehicle, and you may be required to remove the PCM Upgrade at your own expense in order to obtain repairs necessary to pass the I/M test or to perform the recall. Note: We will contact you with specific information we will need once you order. We recommend flashing the TCM also to enhance your total driving experience. 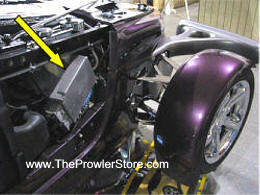 Upgrades your Prowler transmission performance to a more responsive tuning. Works best when done in conjunction with the engine upgrade. You will remove your Prowler TCM. 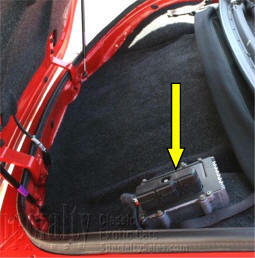 It is easy to do, simply unbolt and unplug from trunk (see photo). 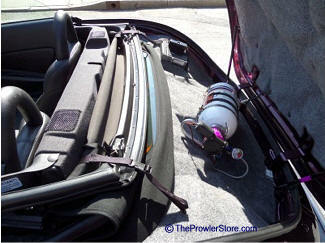 Plymouth Prowler Wet Nitrous System Kit - 55 - 75 HP* GAIN! 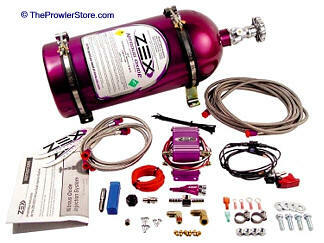 Founded in 1998, ZEX designs and manufactures truly superior bolt-on nitrous systems and related components. We integrate advanced engineering technology and superior customer service to provide you with the ideal nitrous solution for any application. As a member of the COMP Performance Group, ZEX is able to combine R&D efforts for constant new product developments. Our innovative designs and custom-fit nitrous systems allow for easy installation and optimized performance. Patented technological developments such as our Active Fuel Control to adjust fuel enrichment with changes in the bottle pressure, now enable safer, more efficient nitrous injection for increased horsepower gains without sacrificing engine safety. Dimensions: Height: 11.00" - Length: 28.00" - Width: 11.00"
Designed for a 0-60 and 1/4 mile blast! (2) Plymouth Prowler Differential Gear Set Performance Upgrade! Wow - What a Difference! 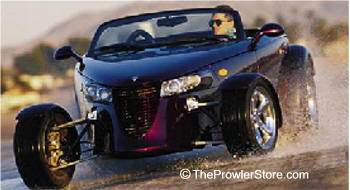 The BEST thing you'll every do for your Prowler. If you could only do one thing to boost your take off speed it would be this kit! Feels like you have added 40-50 HP to your Prowler. 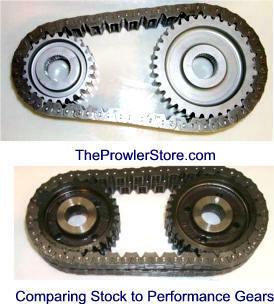 This gear set is going to make a real difference on your take off power. Straight forward install. "You'll notice the biggest difference off-the-line as the car will accelerate really quickly... You can keep up with most anything for about the first 800'-1000'. Overall Top Gear(4th) 3.42 (Performance Gears) In effect, Performance Gears change the final Stock Gear Ratio from a 2.68 to a 3.42. Burn Rubber! What a Difference!